When it comes to having a strong presence on Facebook for your real estate business, it helps to first know what others in your industry are saying (including your competition). You can learn a lot from their successes (and mistakes). At Post Café, our in-house writers take time to do the research and talk to our clients to get a feel of what their audience wants (and… what they don’t). 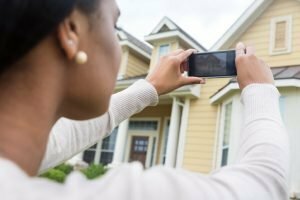 Since there’s never really any point in re-inventing the wheel, we’ve put together a list of four reasons why Facebook is important for a successful real estate business. Back in the day, social media used to be optional, but savvy business owners realize that’s no longer the case…in fact, it’s far from it. Now, it’s not even enough to just have a Facebook Page, you need to have a strong presence on it. These days, learning about customers and connecting with fans is easier than ever. With Facebook, it takes real estate marketing efforts to a whole new level. By looking at the analytics, through Facebook Insights, you can learn more about your customers and strategically target them based on demographics and patterns of behavior. This not only gives you an opportunity to connect with individuals on a more personal basis but can also give you a strong pulse of how your customers are responding to your product. Those familiar with hashtags already know that they’re helpful. Especially when you want your post to reach customers based on things they’re actively looking for. But what if we told you there’s an even easier way to connect with your audience on a local scale? Through Facebook’s location targeting, you can reach people based on their location – where you do business. Customize your radius based on zip code, address and even Designated Market Area. By refining your reach, you get to add value to your online audience, nurture existing fans, expand into a new audience and increase your ROI all at the same time. Considering social media gives you instant (24/7) communication, you have real-time access to feedback from your customers. This invaluable insight can help you generate new business and create meaningful relationships with current clients. By investing the time to interact so closely with first time homeowners before, during and after their purchase, for example, you stay top-of-mind when the time comes for them to make another move. Along with building relationships with clients, most brands use social media to build awareness around products, services and expertise. By consistently generating the right kind of content you establish yourself (and your business) as the trusted, go-to resource when people have a need. High-quality content is an essential component on social media. But it must be audience-oriented, not profit-oriented. Your content should provide value to your audience by addressing their needs, wants and goals and be interesting enough that they’ll want to share it. Now that you fully understand why a strong Facebook presence is important for realtors, it’s time to get started with all the content you need from Post Café. 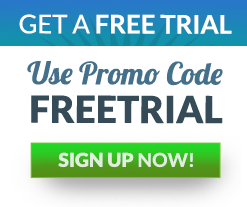 Try it for free today with promo code: FREETRIAL.